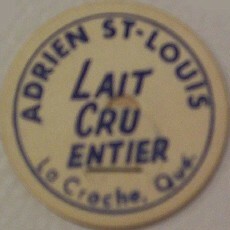 Adrien St-Louis farm was situated at La Croche. La Croche is a small village 5km north of La Tuque. The farm was owned by the "Congrégation des Soeurs Grises" and it's Sévère St-Louis the father of Adrien that first bought the farm in 1932 so he could pass it later to his two sons, Adrien and Nicolas.